I make no secret about my background. I was originally in strategic marketing and business planning. Back in my days in Silicon Valley where I worked with Gartner, I also taught digital marketing in the community college. As part of this work, I would explain to new professionals the Sales force management system definition in marketing. Fast-forward to today, now that we are sales force consultants, I still see the need, whether that is in pre-sales meeting or onboarding training, to pull out the definitions book and get everyone on the same page re. the basic concepts that underlie a CRM install. Sales force management systems are simply information systems whose purpose is helping an organisation to grow better, faster, by organising and partly automating the work that sales force and sales management. It is a customer relationship management platform. Often called CRM. Sometimes called sales force automation systems. All the same. What does a CRM system do to fulfil that purpose? Easy. Think of a CRM as a central place where sales reps write down and store all their customer and prospect data; where they keep track of all their interactions with their prospects and current customers. And to manage accounts, territories or other sales grouping, this information is shared with other sales reps, accounts managers , the Head of Sales and the CMO. Sometimes people define different types of CRM. When you use Salesforce, you know you can use the exact same platform to do three. Operational CRMs — the purpose of this type of CRM is to improve the processes of the marketing, sales and customer service departments. The key benefits are for the staff in these departments, making their lives easier. Although it will have an impact on overall business results as well. Analytical CRMs — the purpose of an analytical CRM is to learn more about the customers and those parts of the organisation that serve them. 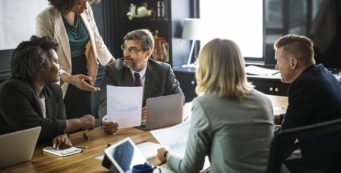 This analysis is to help the executives team in the marketing, sales and service departments make better business decisions and propel the organisation forward. Collaborative CRMs — the purpose of this type of CRM is to align sales and marketing, as well as to enable Account-Based Marketing and team selling. The most commonly use case of Salesforce CRM is operational, I guess. However, as there is an intensified focus on marketing data as a tool to gain a competitive advantage, the CRM’s analytics use case is becoming increasingly strong. 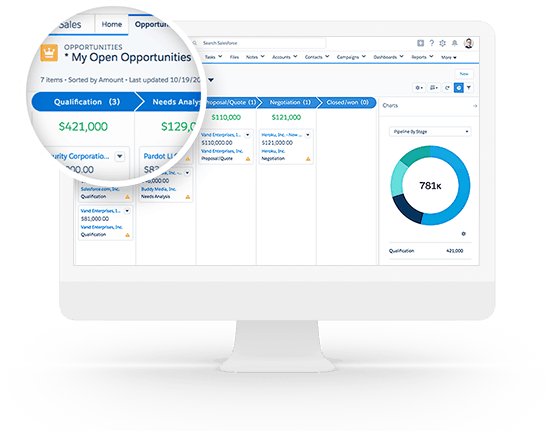 Salesforce CRM offers a free functionality that is deeply embedded into its software, and that is something called Chatter. I think it is a most unfortunate name, is it sort of assumes everyone in the company is just chatting away. Then Salesforce explains that it is kind of like using social media, which has made it even more difficult, I have found to ‘sell’ Chatter to senior management as an intranet. 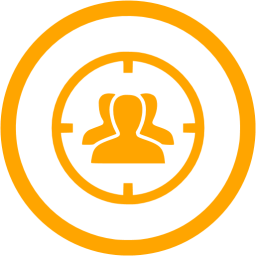 It is very powerful, as you can set up ‘hidden groups’, public(within the company) and private groups of just you and a few colleagues on a special mission. I say ‘sell’ between inverted commas, as well, it’s FREE for as many as 500 employees. In some type of businesses, that is the entire staff! First up, good CRM strategies are derived from the organisation’s future vision. The goals for the CRM are aligned with company goals and shared values. As a CRM supports / embeds sales force processes, the system is to be designed in such a way that these processes help an organisation reach its goals and deliver the value to the customer as it aspires to. The particular CRM that have been working with for the last x years, is called ‘Salesforce’. It’s the number 1 in the industry, although there are some other strong contestants, such as Oracle and Adobe. To learn more about our Salesforce consulting services helping organisations like yours to configure and deliver value from this platform, contact us using the button below.